If you’re in the DC metro area and available, this is great news. 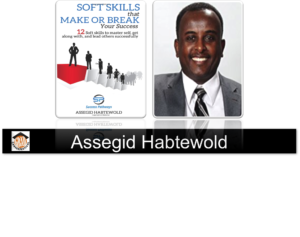 I’m going to facilitate an interactive workshop based on my new book entitled ‘Soft Skills That Make or Break Your Success: 12 soft skills to master self, get along with, and lead others successfully’. In this one hour fast paced but engaging presentation, I’ll empower my audience to take their life, career, and business to the next level by sharing with them key insights, processes, and tools they can immediately use in the work and marketplaces. 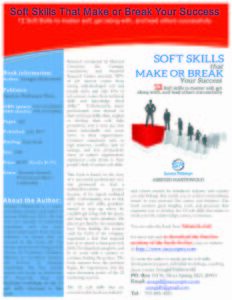 Please note that as leaders, we need to work on our soft skills on a consistent basis. 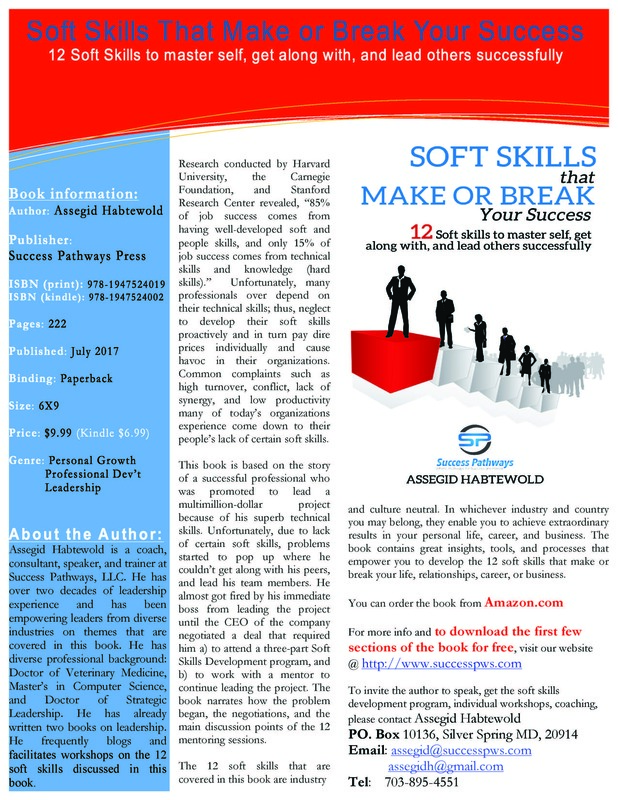 We need those soft skills vital to achieving personal mastery. Leaders who succeeded to lead (master) self, lead others better than those who lack personal mastery. Leaders who developed self-leadership can lead others successfully. Though personal mastery is a foundation, it’s just the first step of a protracted journey. As leaders, not only we are expected to get along with our team members, but also we are obliged to get along and work with our peers, internal and external customers, and other diverse stakeholders successfully. Besides, we need to equip ourselves with the soft skills that enable us to lead our team by motivating them to aim high, empowering them through coaching and mentoring, engaging them in constant win-win negotiations, and transforming the team to handle changes. In short, if your desire is to take your leadership ability to the next level, you cannot afford to neglect your soft skills. 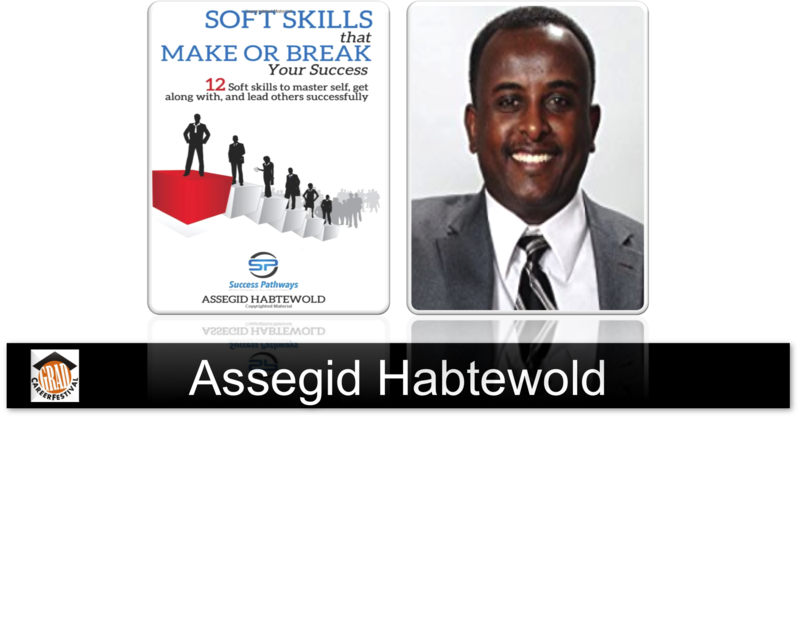 And, this presentation provides you a high-level overview of the 12 soft skills that make or break your leadership. The event is organized by 21st C Community. It’s going to be at the Civic Building, Veterans Plaza, Downtown Silver Spring (One Veterans Place, Silver Spring, MD 20910) @ 6 pm. By the way, two of my books are door prizes. The first two persons who will come first will be rewarded. Be one of them! 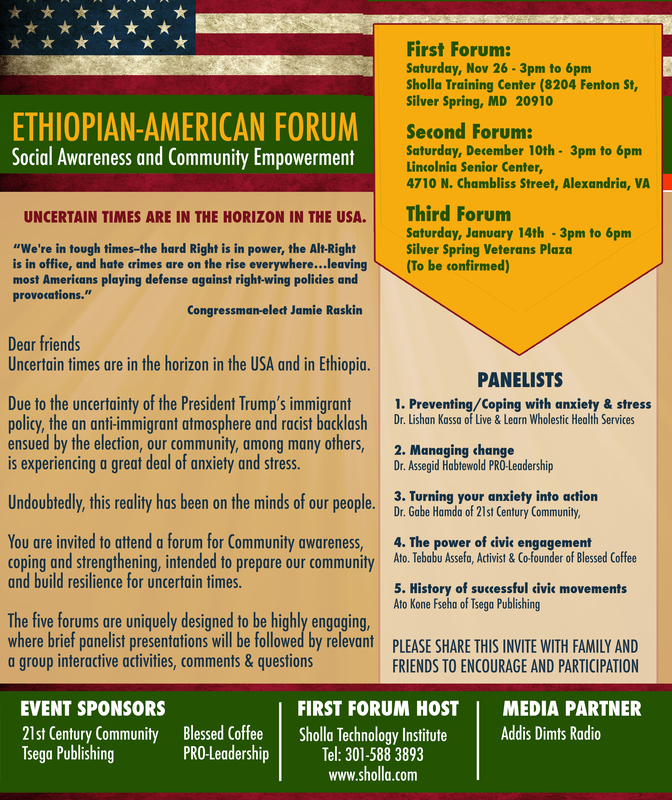 The Ethiopian-American community is holding a series of forums to create awareness and build community resilience. Alexandria, VA – December 2, 216 – Community and business leaders in the Ethiopian American community in Virginia, Washington DC and Maryland, are organizing the second community forums on Saturday, December 10, 2017, 3 pm to 6pm, at the Lincolnia Senior Center, 4710 N. Chambliss Street, Alexandria, VA, as a follow up to the forum held on November 26, at the Sholla IT Training Center in Silver Spring MD. 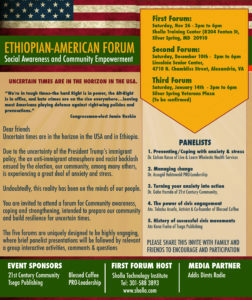 The forum is designed and conducted to create awareness, empower and build resilience for Ethiopian-American community who are very concerned about the anti-immigrant political discourses ensued during the U.S. presidential campaign and the post election policy shift, uncertainties, and worries. The Ethiopian-American community is also concerned about potential further instability in Ethiopia; Fear of their families in Ethiopia being under the risk of arrest and extra judicial killings; the Ethiopian ruling party sympathizers fear their families and properties may be in jeopardy. The workshops include: managing change, giving back to community service, success stories of civic activism, managing stress and anxiety during uncertain times, civic engagement, mixing technology and proverbs to advance civic advocacy. The 3-hour forum is uniquely designed by training facilitation experts to be fully interactive, where the audience members play active part in the forum. Local community organizations including PRO Leadership are going to organize three community awareness forums in the DC Metro area. These community organizations recognized the fact that uncertain times are in the horizon in the US and in Ethiopia. They are convinced that they should arrange such platforms to prepare Ethiopian-Americans to cope with the anxiety that followed the recent US election, and ultimately to build the resilience of our community for such uncertain times. The first forum is going to be on this coming Saturday Nov 26, 2016 between 3 – 6 pm. Don’t forget, you’re born to lead, and this challenging time calls upon you to step up your game as a leader. Take leadership wherever your talent and experience is needed. But first, come and equip yourself to strengthen yourself so that you could be able to strengthen and support others. Last year, almost this time around, I was looking for an interviewee to talk about why Ethiopian women aren’t at the front and leading. Everywhere I asked that question, Dr. Miagenet’s name came up again and again. After a few phone and email conversations, we did set a date to conduct the interview. When I met her the first time, I found her a very considerate and fair leader who listens intently. She was fair because she was not angry with men and blamed them for everything J. Even if I never had any more chance to meet and work with her, the leadership qualities that I witnessed prior, during, and post interview convinced me that she was an extraordinary leader, and we all are going to miss her. II. Who are (is) the culprits for gender inequality? Coming back to the interview, for my first question: Who is (are) responsible why women are not at the front and leading, she pointed out that the culprits are our culture first, and then some men, and women themselves too. 2.1.Our men dominated and patriarchal culture, the school system that favors boys over girls, men over women, and the different religious institutions that undermine the leadership participation of women. 2.3.Lack of awareness, education, and organization of women. She pointed out that only 33% women older than 15 years are literate. III. What should be done to narrow and finally bridge the gender inequality? IV. What women should do to bridge the gender inequality? In one of Hillary Clinton’s rallies, Madeleine Albright said, “There is a special place in Hell for women who don’t help each other.” As you may already be aware, it backfired. Women shouldn’t be supported because of their gender, rather, because of their competency, personality, and character. If women start to show gender prejudice, men too may follow suit, and that doesn’t help women’s right advocacy work at all. This alienates many men. While the dictatorial regime in Ethiopia uprooting indigenous people from their ancestral land without their consent nor compensation, and while unarmed protesters including mothers and children are killed by live bullets, and citizens in thousands are jailed and tortured because of their ethnicity, and political views, women’s silence and taking neutral position is appalling, to say the least. It’s understandable if women’s organizations taking non-partisan position to serve all women of diverse political viewpoints. They don’t need to endorse one single political party’s ideology and program. However, Fascism, Nazism, and Dictatorship are not parties, they are oppressors. Thus, those women who aren’t siding with the oppressed are siding with the oppressor. Complaining that they’re oppressed but failing to stand by the side of other sections of the society who are oppressed is paradoxical. It obviously denies them authenticity. They cannot rally a wide array of support from others in their fight against gender inequality. That being said let me give you quick background information about why I began showing interest in the necessity of women in leadership. PRO Leadership in its 2015 annual conference, which was held at Prince George’s Community College, recognized the 3G (Geographic, Generational, & Gender) Leadership Gaps. No one disputes the existence of leadership gap in the Southern and Eastern Hemispheres than in the West. There’s a huge generational gap globally. Research shows that, in just the US alone, 33 million baby boomer leaders are going to retire by the year 2020. The same is true in our case. Who are leading both in Ethiopia and here in the Diaspora? The Ethiopian version baby boomer leaders J are in charge everywhere. Whether it’s within the ruling party or in the opposition camp; whether it’s in the NGOs or in the religious institutions, the dominant decision makers are members of the older generation. There’s nothing wrong with this as far as the contemporary leaders are conscious about the existence of the generational gap and proactively raising their successors. Unfortunately, that is not what is happening. Likewise, it doesn’t take a genius to figure out that we’re plagued by gender leadership gap. Regardless of their number, which is more 50% and their lion share contributions at family, community, and national levels, enough women aren’t at the front and leading. We pay dire prices at many levels. When individual women unable to take leadership, they couldn’t maximize their potential, and that means we are wasting more than half of our national potential. What an opportunity for children to be raised by their mom who is a leader? They learn what it means to take leadership by watching her do it. And, it’s obvious that a leader mom raises her children teaching them practical lessons as they grow up. When they go out to the world, nothing could be able to make them put their head down. They claim their leadership birthright and serve their community using their unique talents boldly. No barrier could stop them. Our community has so many issues that need the leadership contributions of women. We have a disintegrated community with so many challenges, and these cannot be tackled and defeated without the active leadership involvement of women. Ethiopia has been inflicted by constant famine, food insufficiency, conflict, and the lack of freedom, democracy, justice, and good governance. Bringing a lasting change through smooth transition require the leadership of women. What should be the roles of women’s right groups like CREW, and other organizations like PRO Leadership that aim at empowering individuals including women to bridge the leadership gap? CREW as a Women’s right advocacy group should continue to engage in increasing the awareness of both women and men concerning the existing gender inequality and things to be done to bridge the gap. The existing advocacy works, however, aren’t adequate. The advocacy works shouldn’t be left to women and to those organizations that represent women alone. Both women and men who understand the inequality that exists, and the dire consequences of this disparity should continue to push regional and global institutions, governments, companies, and community and religious organizations to make changes- Tangible changes in their perceptions, policies, and systems. While continuing to promote gender equality, the long term and lasting solution should be to raise competent women leaders at all levels. In my humble opinion, it’s possible women advocacy organizations like CREW to kill two birds using one stone if the lion share of such organizations’ priority, focus, and investment is directed toward building the leadership capacity of women. The more women become leaders at home, in the neighborhood, work and market places, the more they will have real chances to influence and ultimately bridge both the gender inequality, and the leadership gap that exists at all levels. Myself as women’s right advocate, and leadership expert, I’m committed to play my share. Our non-profit organization- PRO Leadership Global Inc. is also dedicated to play its share. We look forward to partner with you to bridge the gender leadership gap, and in turn empower women to play their contributions in tackling local, national, regional, and global challenges we are facing. It’s possible. We can use 1 stone (developing women’s leadership capacity) to kill 2 birds- gender inequality and leadership gap. Following its last year’s annual conference, PRO Leadership determined to play its share in bridging the 3G Leadership Gaps. Accordingly, the Founder of PRO Leadership spoke on Saturday March 26 2016 morning at Georgetown Marriott Hotel in DC. The theme of the presentation was: “Bridging the Leadership Gap: For Smooth Transition and Successful Post Conflict Ethiopia”.